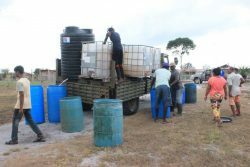 Scores of residents who turned out for the government’s ‘Meet the Public Day’ at Number 78 Village, Corriverton on Friday, complained about lack of access to potable water, the need for electricity and proper drainage. Albert Welcome of Bushlot Village, Corentyne, who is visually impaired, travelled all the way to Number 78 Village to seek advice and solutions on drainage issues in his area. He said, “Our place has not been dug since I was a boy scout, but it need digging now, because the weather will be changing soon and at the sea defence they got contractors working there on the place and its already broken again.” The 73-year-old man stated that they are only putting mesh but they need cement in order for it not to break away. Another resident who had an issue with his pension left satisfied. Lloyd Thomas, a retired sergeant, said he was experiencing issues with his pension. He explained that he even hired a lawyer who informed him that he was in the right. He said Minister of State Joseph Harmon collected his documents and promised to look into the matter. One rice farmer also voiced his complaints about purchasing seed paddy three crops ago and having not yet received it although he has his receipt. According to Rameshwar Rootharam of Line Path, he paid $152,000 through Republic Bank to the Guyana Rice Development Board. Rootharam, who was in the line to meet the Prime Minister, said he was looking for an answer and hoped to leave with a positive outcome. A resident of Number 78 Village, Elisa and Mary, said she believes her area needs streetlights, as it is dangerous to walk through the street at night. She also complained about the deplorable state of the streets, she stressed that the area was opened in 1992, and the streets were only repaired once. 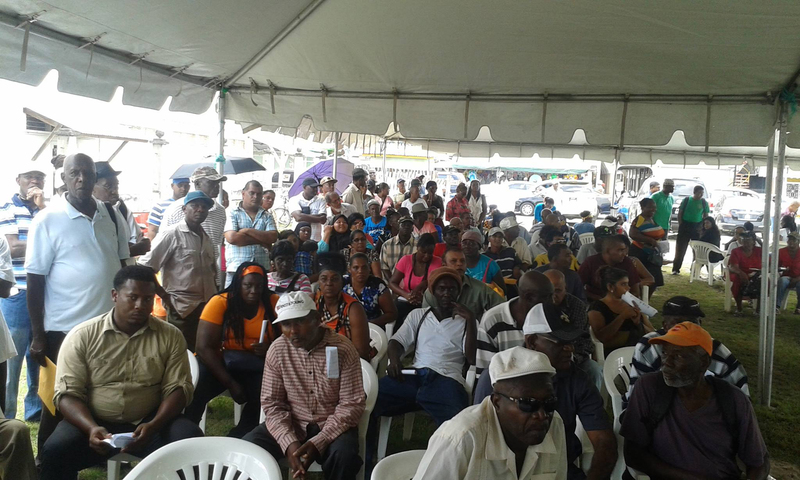 On Friday, hundreds had gathered at State House, New Amsterdam, Berbice to participate in the ‘Meet the Public Day’ there. 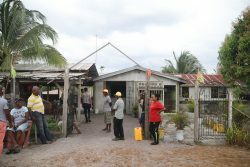 Prime Minister Moses Nagamootoo said that the purpose of the initiative was to interact with residents and listen to their concerns. He urged citizens who were present to take the opportunity to ventilate all of their problems. 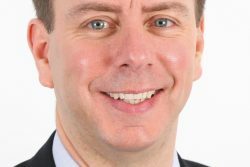 However, he stressed that they may not be able to solve all of the issues highlighted. According to Nagamootoo, the coalition government wishes to be a “mobile government,” a government that goes out into the community and listens to the people. He also stated that the Ministry of Citizenship was working to decentralize the passport and birth certificate operations, setting up offices in New Amsterdam and Springlands. According to the Prime Minister, ‘Meet the Public Day’ is a perfect opportunity for citizens to meet and interact with officials. 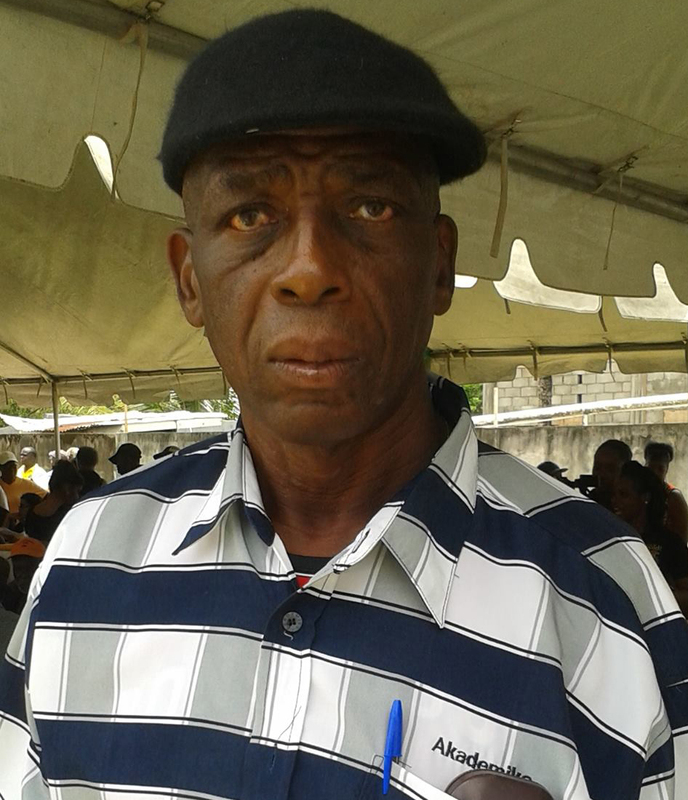 Harmon said that he was ecstatic that the services of central government can be made available in the “homes of citizens.” He stated that when the coalition got into government, many people wanted to meet the ministers but couldn’t. He said a ‘Meet the Public Day’ provides recommendations and even solutions to issues highlighted. He said, “We are not here only taking complaints, we are making governmental decisions here on the ground, as if we were in our offices. 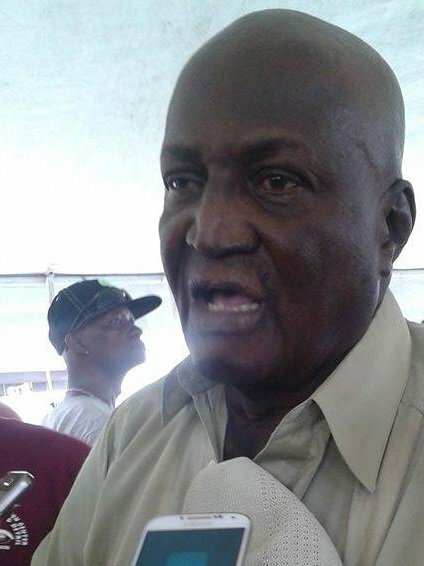 What you have here is a government office in Berbice that’s going to be dealing with issues in relation to the people,” he added. He stated that during the course of such exercises important information is communicated, that has to do with the development of Guyana. He stressed that in order for Guyana to develop each and every citizen should be involved. “There is no room for segregation, no room for separation, this is the time when we have to come together as a nation, if we are going to develop this country,” he said. 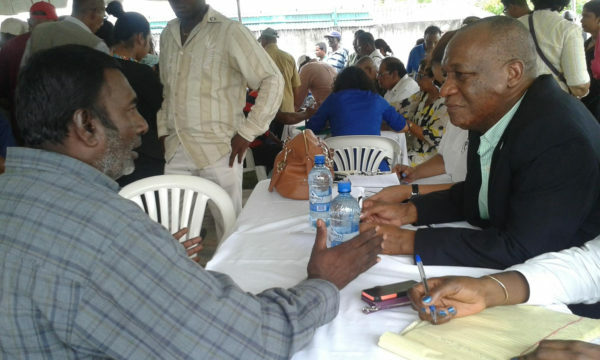 Residents were also able to interact with representatives from the Lands and Survey Commission, Housing and Citizenship ministries among others. Regional authorities were also present at the activities.